You must make reservations at least 5 minutes in advance of the time at Le Petit Restaurant. Diners can enjoy some of the most authentic French food in the valley when they visit Le Petit Restaurant. 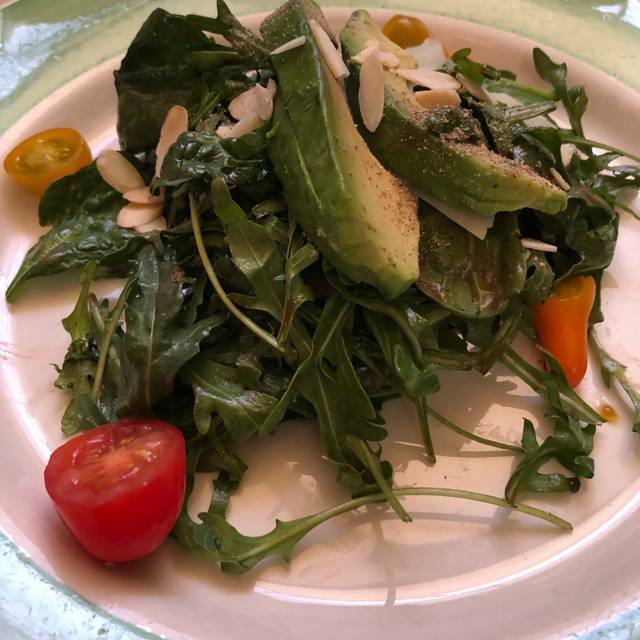 With the air of a bistro that has come straight from a Paris street, Le Petit serves French fare and adds its own California twist. 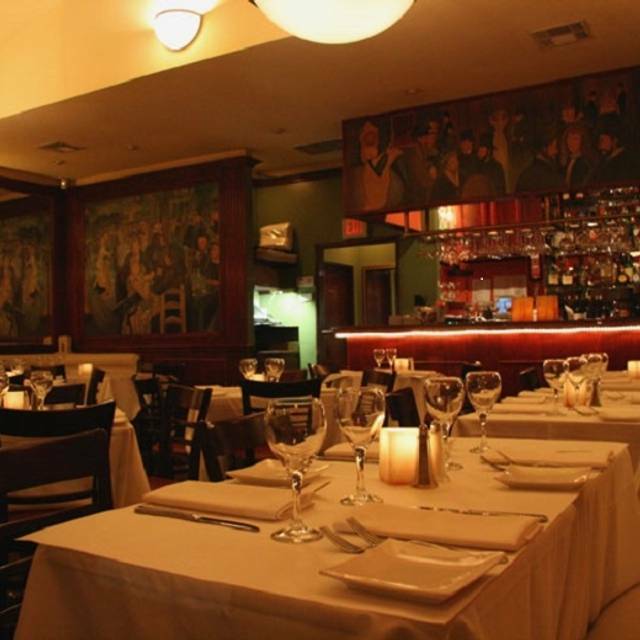 The look and feel make it a great date spot that is conveniently open for late night dining. The interior is masked in an Art Deco decor, framed by high ceilings and filled with candle-lit and linen-covered tables, framed art adorning the colorful walls, white curved booths, and hardwood floors. The menu runs through a range of creative dishes, like the blackened salmon, grilled entrecote (rib-eye steak), escargot, herb-roasted chicken, and more, including daily specials. On Monday and Tuesday nights Le Petit offers a special 1.5 pound live Maine lobster, with soup or salad for $34.95. A notable wine list and full bar give diners ample drink choices. Le Petit Restaurant is available for private parties. Sautéed shrimp with bistro secret spices – A Must! Must go to this place, but not too much - I don't want you to make it harder for me (and my family) to get in!!! Our server was excellent, but the restaurant served too quickly. Not just our table - all of the tables around us, too. Entrees were served before salad/appetizers were cleared. And the restaurant was not that crowded. We were happy with the food and wine - everything was of excellent quality and well-prepared and served. We came here for my moms birthday because we were here about a month ago and everything was fantastic. Good food, great ambiance and excellent service. Today the restaurant was half empty and our waiter at first was Peter. He was extremely rude and unprofessional. He was so irritated that I asked him for a Moscat wine that we had last time, he said they don’t carry that kind of wine and when he brought another to try he spilled it on the table because he put the glass down with such anger. This is not the level of service I expected from such a good restaurant that has been in business for so many years. He also made our drinks because there was no bar tender and both drinks were absolutely horrible. I asked the manager for a different waiter because his attitude and lack of professionalism was not acceptable, he is a liability to this business if he continues treating customers this way! Manager gave us a different waitress and she absolutely wonderful. Very nice and unprofessional, really took great care of us and made us feel like she cared for our business. It was unfortunate the manager did not apologize for his employees behavior. When we looked at the dessert menu the wine that I asked for was of course on the menu. WE ARRIVED EARLY AND THEY SEATED US IMMEDIATELY. THE HOST AND WAIT STAFF WAS FRIENDLY AND ATTENTIVE. THE HOUSE SALAD WAS CRISP AND SEASONED WELL WITH JUST THE RIGHT AMOUNT OF DRESSING. 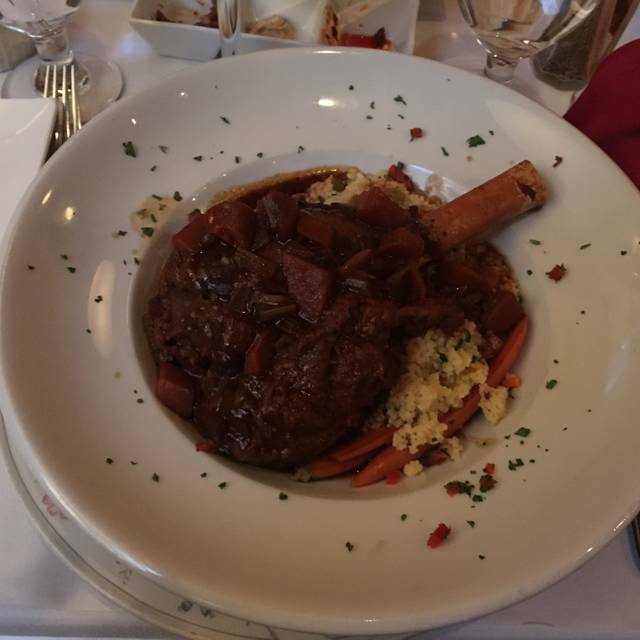 TWO OF US HAD THE LAMB SHANKS--THEY WERE HUGH AND ENOUGH FOR AT LEAST TWO MEALS. ONE OF US HAD THE SCALLOPS AND SAID THEY WERE COOKED JUST RIGHT. 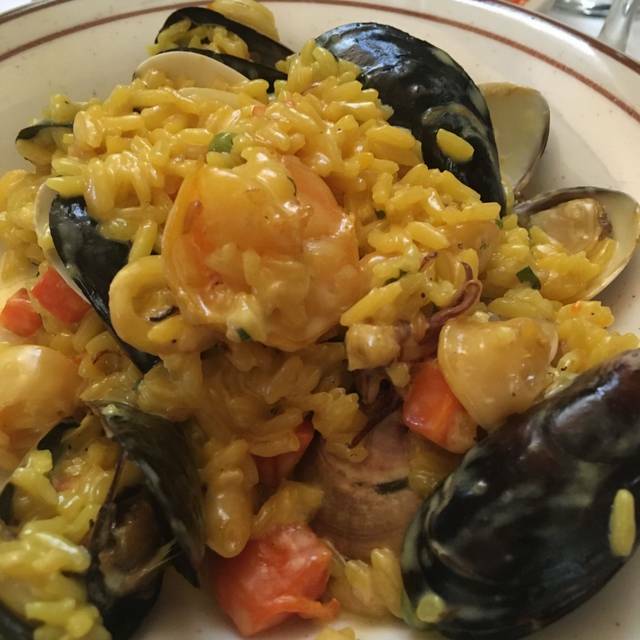 I HAD THE CREAMY HOUSE PAELLA WHICH WAS DIFFERENT THAN TRADITIONAL PAELLA, BUT WAS CHUCK FULL OF MUSSELS, CLAMS, SHRIMP, SCALLOPS AND CALAMARI. IT WAS FANTASTIC. EVERYONE SAID THAT THINGS WERE WELL SEASONED AND VERY TASTY. WE ALL DECIDED THAT WE CAN'T WAIT TO COME BACK SO THAT WE CAN TRY OTHER THINGS ON THE MENU. Excelente food, one of my favorite restaurants in LA. 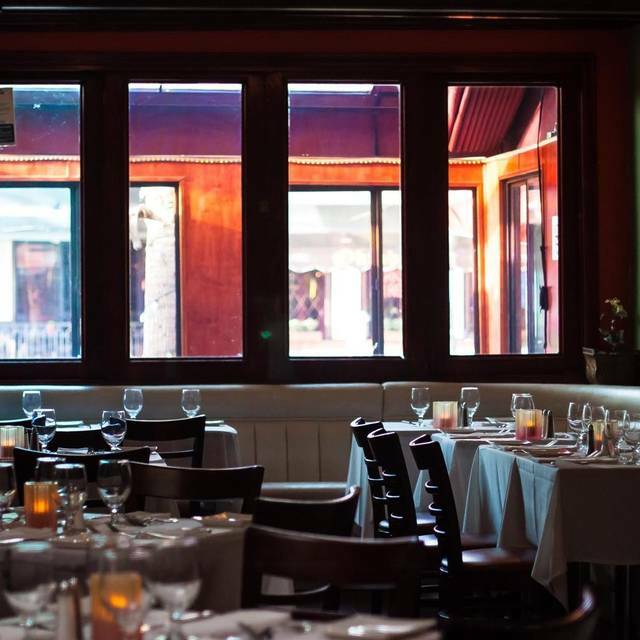 Le Petit is our "go-to" for special events--especially birthdays. We had the good timing to go on a quiet Tuesday evening. Less noise and fewer folks, BUT--the food is always terrific and our waitress was wonderful--she brought us a special treat for my wife's b/d. My only objection is the valet parking situation, but it's typical of that section of Ventura blvd in Sherman Oaks. We always feel that we are back in a Paris cafe (minus the pet dogs and cigarette smoke((it's been a while,) they may have eliminated the smoke thing by now)). Waiters are friendly food is delicious and the atmosphere is festive. Also, reasonable prices! It was delightful. Waiter was very attentive and friendly. Food was very good and price was fair. Always a fantastic French dinner at Le Petit. Excellent service and outstanding food. 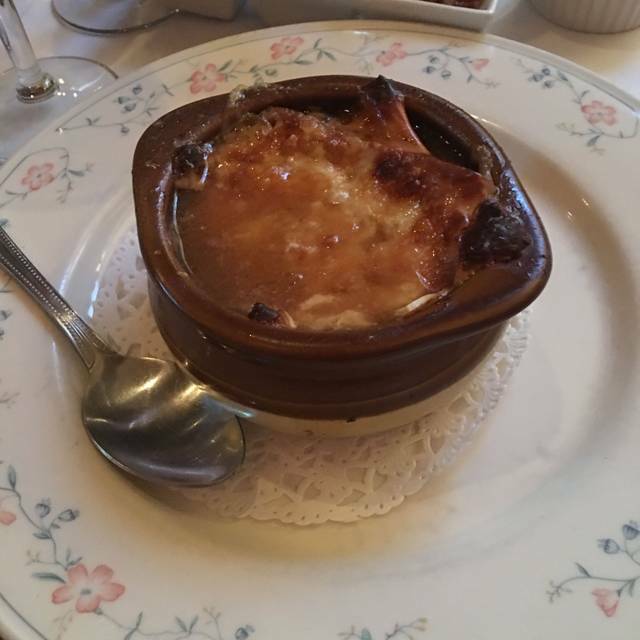 The French Onion Soup is the best I’ve ever had, and the steaks and seafood are fantastic. Don’t forget to get the Grand Mariner soufflé, it is life changing. The chocolate souffle is the greatest thing I ever eaten in my life! The best steak au poivre I've had. It was very tender and the cognac peppercorn sauce was exquisite. I thought the portions of the onion soup, chocolate soufflé and lobster crêpe were a bit small compared with what I'm used to get in France, but nonetheless the flavor was amazing and authentic. Excellent service. Friendly waitress. Charming staff. Great food. Excellent wine list. Full bar. Menu leans into seafood more than meat. Desserts are to die for. Feels like a nice neighborhood bistro. Nothing corporate or franchise-like here. Staff don’t need to sell. The place itself is winning. Delicious food. Amazing wine. Helpful service. Convenient valet. A wonderful place to go to for traditional French cuisine (or at least as traditional as LA French Cuisine gets). We had not been to this restaurant for a few years, then a dear friend suggested we meet there. Well, I was so amazed that I had not gone back to this absolutely marvelous place. There was an article in the New York Times recently about how people over 50 prefer to dine in small, quiet, friendly places. This hits the spot. I loved it and I think anyone- no matter their age- well also find it to be a perfect place for a wonderful dinner. Please continue to provide your guests with the great atmosphere, food and service! Readers----- don't let this one slip by! Its a marvelous experience. We love the food here. This is a great place to dine, if you want quality food that tastes authentic and delicious. There are traditional French dishes and there are some creative items on the menu as well. You cannot go wrong with either direction. The wine list is excellent too! Not super expensive like some other French style establishments in Los Angeles. On a week night the restaurant will not be crowded or noisy, especially if you dine before 7:00 PM. The wait staff are very friendly and attentive, and they go out of their way to ensure your dining experience is enjoyable and meets, or exceeds your expectations. Small French restaurant that is hidden, but is definitely a gem. It is a place that has regular customers. The Paella and Frog Legs are both outstanding dishes, though you have to ask for the frog legs to be an entree since they are only listed as an appetizer. The paella is one of the best around. The only downside is the issue of parking which is limited and is street parking, whether you use valet or not. with the Great Greek next door and Maria's Kitchen across the street, it can be difficult to find parking. But well worth the effort. They have a very good wine list with reasonable prices and their corkage fee is $15 which is fair based on the menu and wine list. But do take something unusual or special, don't take a Trader Joe's or market wine. Had 6:00 reservations and it was a good thing since by 6:30 on a Sunday night the restaurant was full. Reservations highly recommended. A place for a relaxed meal and highly recommended. 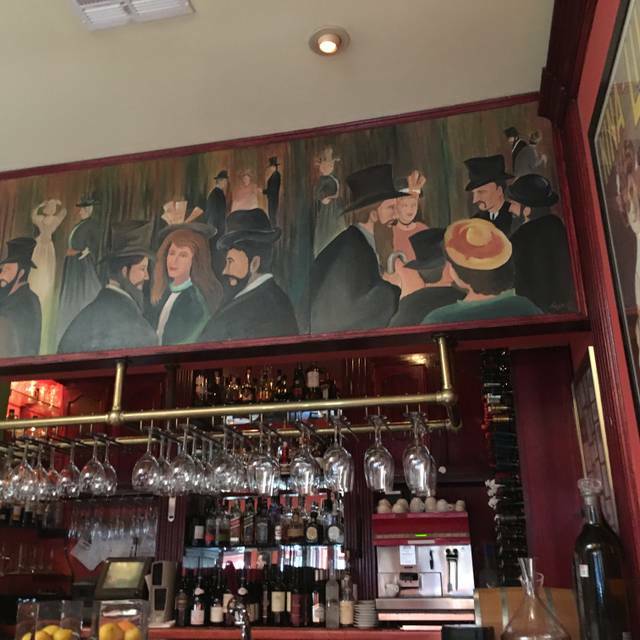 This is one of the top restaurants in Sherman Oaks. With the imminent closing of Cafe Bizou in Sherman Oaks, this is now the best value along Ventura Boulevard. In addition to the outstanding food and service, the decor also is beautiful. You owe it to yourself to give this family-owned business with professional waiters a try. I believe that you will not be sorry. The bread dipped in the escargot butter was amazing. Thought the paella was a bit bland, but good. Salad was also amazing. Words can not do justice to our first experience at this amazing restaurant. The decor is straight out of a Manet painting and the staff could not have been more professional and attentive. But, their delicious food will take us back within the next couple of weeks. We started by splitting the divine butternut squash ravioli--the best I have ever had. Next, I had the fabulous chicken with herbes de Provence and my husband loved his potato-crusted salmon. 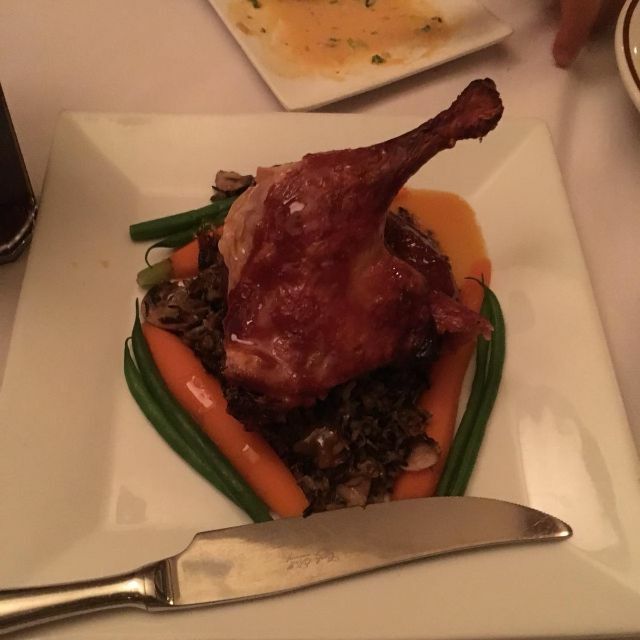 The portions are generous and the food and service extraordinary. We booked an early table in order to be on time for a show that night and service was so efficient that this will be our permanent pre-theater dinner spot. We have eaten their for years, food always great, service as well, but this time we were given a table in a room where there were fifteen people celebrating a birthday. Should not have been a problem but it was. They were loud and drunk, we were unable to have a conversation with our guests.....calling the restaurant today.....there were other tables across the room, why were we sat where there was a party? Oh and I had a reservation. Great food, paired with friendly, excellent service in a charming environment. Consistently outstanding. Highly recommended. The service was so bad. Our appetizer never came. The food took an hour. They never asked if we wanted more drinks. Always enjoy Le Petit. Makes me feel like I'm back in France in the good old days. It was my birthday celebration and we had a wonderful meal. The free champagne that we were offered was a lovely touch. The food was excellent and the service was perfect. It was not crowded, so all was well. My last experience was not as wonderful, probably because the restaurant was over-crowded, for dinner. I thought I'd give it another chance and was delighted with the food and service this time! One of the best place in the valley great food and service a real good find for anyone. As always, a wonderful evening of lively bistro environs and great food. And, as always, we look forward to returning! The food was good, but we had an 8:30 reservation and had to wait until 9pm to be seated. The waiters were friendly, but dessert took about 20 minutes to come and one of the three ordered was incorrect. Delicious, but incorrect. The wine was acceptable. The ambiance was nice and cozy. Needed a full 2 hours for dinner. Overall, it is worth a try. I would eat there if someone else wanted to go, but it isn't on the top of my list of places to return to in terms of value. Food always terrific w good service and fast delivery time. The mussel appetizer is often enuf as a main dish at 1/2 price. Ask for chef to use Pinot Grigio and not cooking wine as latter has too much salt. Too me it’s the best mussels around. Same for onion soup and chocolate soufflé. All three of us agreed the food was delicious. I was told the eggplant tart was a good blend of flavors, and it was nicely presented. The onion soup was dependably flavourful and rich, as was the potato leek soup. The mussels here are the best I have had and a generous portion. You'll want extra bread to enjoy the sauce. The shrimp picante appetizer had a very unusual blend of spices. Some might feel they overpowered the shrimp, but the only complaint was there weren't enough shrimp to fully satisfy. 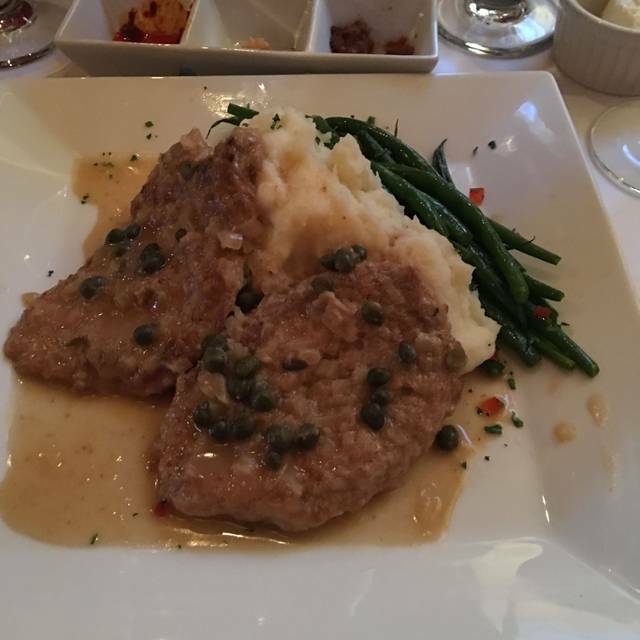 The chicken piccata also had positive reviews. The desserts were excellent, and the complimentary birthday slice of chocolate cake with decadent ganache was a lovely surprise. Overall, we all would recommend everything we ordered and look forward to returning. We also appreciated the gracious service and comfortable unhurried atmosphere. The only negative was the very loud group at the table next to us, but that's to be expected on a busy Saturday night. we had a 7:45 Pm reservation , we arrived at 7:40 PM. and were asked to wait as our table was being set up. our table , and told us to wait for the next one. obviously, they care not for reservations. if you want to get seated when reserved, this restaurant is not for you. My wife and I have been going to Le Petit for many years. It’s one of our favorite spots. Very consistent, service staff are super friendly, the food is always good, and we find it to be an exceptional value. Everything was wonderful. The food was delicious and the service was fantastic! Look forward to another visit soon! Had a wonderful dinner for my Mom's birthday. Great selection of dishes, excellent service, food was very tasty and we'll prepared. Noise level was extra loud due to a party of about 20 (someone's birthday), not the restaurant's fault but we were right next to it and it was difficult to have a conversation. Still an overall great experience, would definitely go back.